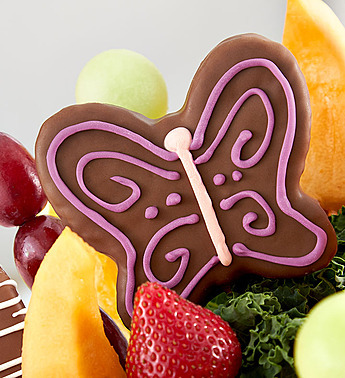 Share a sweet surprise with someone special! 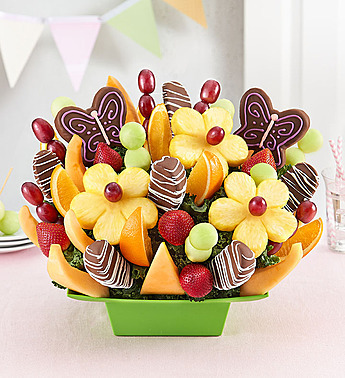 Our scrumptious fruit arrangement is blooming with fresh, delicious treats—from delightful dipped + decorated pineapples shaped like butterflies and daisies to crisp dipped apple slices, juicy strawberries and more. Both pretty and plentiful, this colorful creation makes a wonderful gift for any day worth celebrating!